This Book is aimed at providing players with the necessary game-plan to winning. 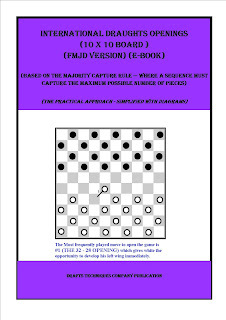 It deals with draughts game theories and strategies to help players understand the reasons behind their moves or steps. They would be able to apply these principles in a variety of situations. It covers from the opening moves through the mid-board techniques, to end games to enable players plan effectively. Furthermore, the secrets of playing good step movements are revealed. How much is also this book? The cost of this book "The key strategies of draughts game" is N500 plus transportation to your area. We will make enquiry from transportation company to find out how much it is to your area. 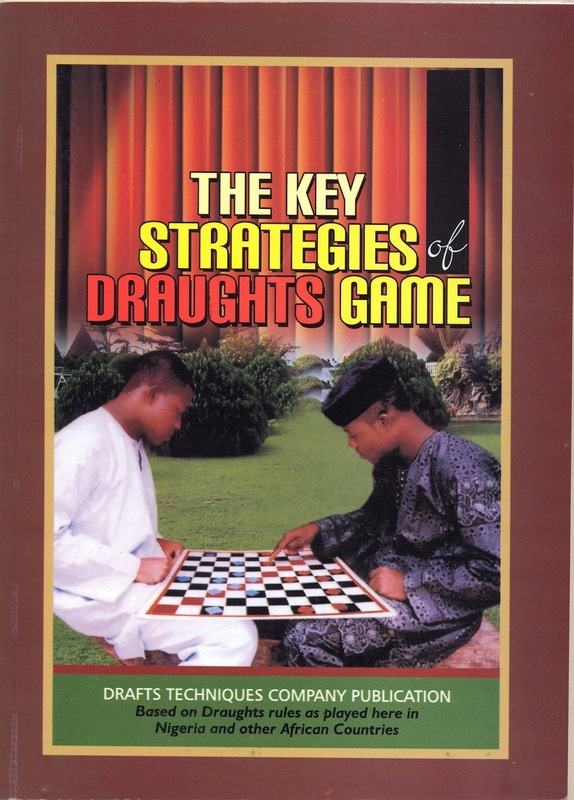 Thanks for finally talking about >"THE KEY STRATEGIES OF DRAUGHTS GAME (HARD COPY AVAILABLE)" <Liked it! I was more than happy to find this site. I need to to thank you for your time just for this fantastic read!! I definitely savored every part of it and i also have you saved as a favorite to see new stuff in your website. We thank you so much for your feedback and compliments. Your words are the tonic that keeps us going and wanting to do more. Thanks for finally writing about >"THE KEY STRATEGIES OF DRAUGHTS GAME (HARD COPY AVAILABLE)"
Awesome site you have here but I was wanting to know if you knew of any community forums that cover the same topics talked about here? Hi! Thanks for your compliments. You could check the World Draughts Forum on www.laatste.info (though the site is in Dutch, what you need do is to translate the page to English) to gain from the experiences of other draughts players. If we have further information we will let you know. Good Luck!! Hello! We use a company called "Registeram.com.ng" here in Nigeria. They do the hosting themselves using a private server. The price is low. We spend about $22 Dollars Annually for our Domain Name and Web Hosting Plan. Cheers!! I found it for him... lol. So let me reword this.... Thanks for the meal!! We thank you so much for your wonderful feedback. We really appreciate your kind words. Hello! Thank you so much for your suggestions. We will certainly look into them. Please keep the suggestions coming!!! goes over a lot of the same topics as yours and I believe we could greatly benefit from each other. Hello! We are interested in sharing links with others. We also do not mind in doing other collaborations as long as it will be mutually beneficial to us and to the delight and benefit of the readers. If you still wish to go ahead, kindly let us know by sending an email to: info@draftstechniques.com. Please let us know your website address so that we can have a look and see how best we can collaborate.